The tiger mosquito its scientific name is called Aedes albopictus, also known as the Asian tiger mosquito. 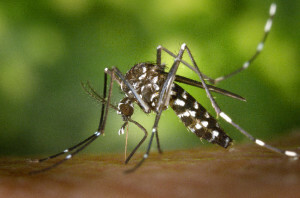 This mosquito is responsible for the “transmission” of viruses, such as dengue fever, West Nile virus, the chikungunya (Chikungunya), Japanese encephalitis, the St. Louis encephalitis, yellow fever and several parasitic infections. It is also known in veterinary medicine, as well as transmit Dirofilaria immitis, parasitic worms in dogs and cats. The mosquito has feature the black and white striped legs and small black and white striped body. Is about 2 to at most 10 mm. Stands isolated in the tropical and subtropical regions of Southeast Asia, however has been ported to other countries through travel and transportation lines. The mosquito is a serious pest, living near humans and feeds at day, except at dawn and dusk. Can associate with the Aedes cretinus often rises in the eastern Mediterranean speech equally black and white pattern, but no connection. The biting Aedes albopictus other than humans and other mammals, birds and even. 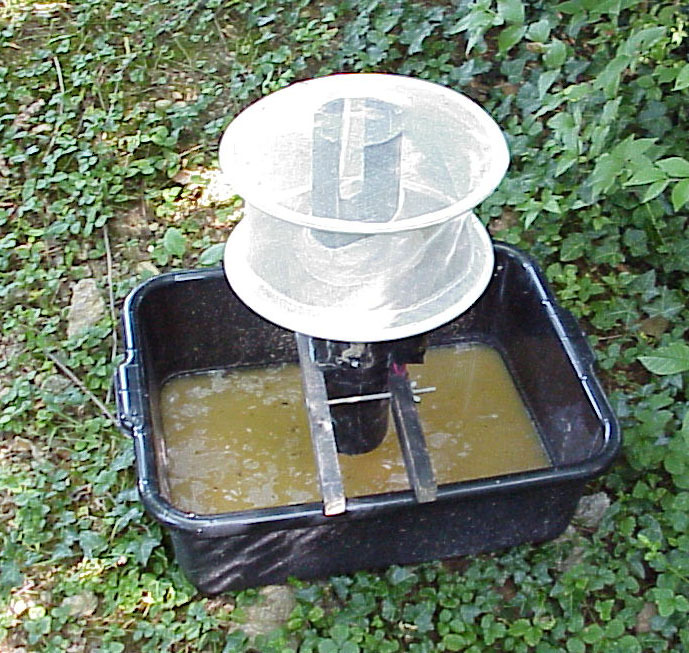 A new kind of trap has been shown to catch significant numbers of Aedes albopictus. This device, with the aid of a ventilator generates an air stream to the good-trapano, ammonia, fatty acids, and lactic acid that takes a similar form and the odor of the human body. With the addition of carbon dioxide, the effectiveness of the trap is increased. 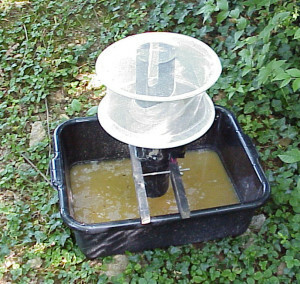 This means that there is a suitable tool available for trapping of adult tiger mosquitoes and, for example, examining the presence of the virus in mosquitoes trapped. In a study in Cesena, Italy, the amount of bite fell in places where they settled traps. The dengue virus is transmitted by mosquitoes of the Aedes family and especially the mosquito Aedes aegypti **. Nevertheless, it has been found in our country after repeated studies done in the last ten years in our country. Result has scientists identify as the main culprit tiger mosquito (Aedes albopictus), which has been identified in the last 10 years in our country and is regarded as a potential transmitter of the virus. The dengue virus does not transmitted from person to person. A basic charge of the transmission of dengue fever is Aedes Aegypti . This species is a vector of several tropical fevers . In Europe became known mainly for the disease dengue fever “carry” . Transmit other diseases such as chikungunya and yellow fever. A special feature is the white stripes on the legs and a mark resembling a lyre chest . The origin of the mosquito is from Africa. It is found in tropical and subtropical regions. Like all mosquitoes , the female stings for blood so it can be matured eggs . Pulled from the compounds producing mammals. Compounds such as ammonia , lactic acid , carbon dioxide , and octenol . The female mosquito lays her eggs near the water. Not directly on it, as do other mosquitoes, but typically near a stagnant pool. Adult mosquitoes live about 2 to 4 weeks depending on the circumstances . Eggs survive out of water , even after a year . 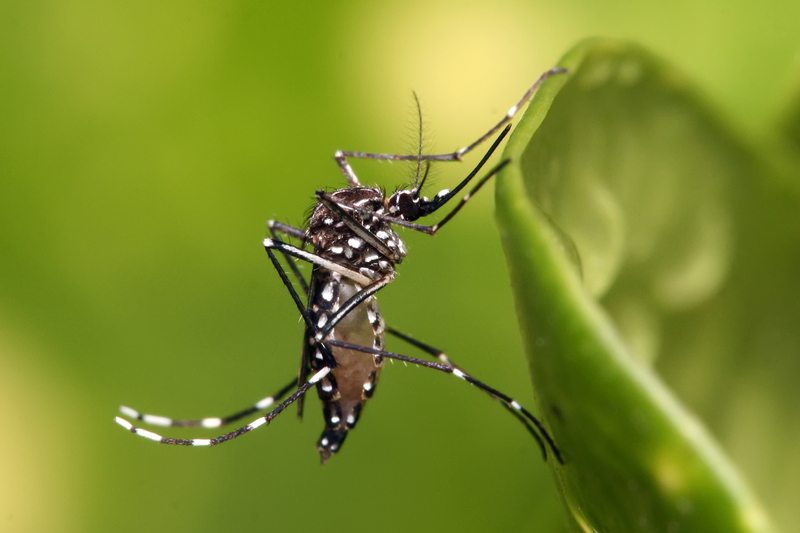 The species Aedes Aegypti fortunately has not yet appeared in Europe, but has displayed a close affinity to species, Aedes albopictus mentioned above and scientists suspect that this caused the outbreak of dengue fever that occurred in Greece . The HCDCP doing surveys for Aedes albopictus mosquito tiger or else to consider if these mosquitoes carry this virus eventually . The tiger mosquito stings all day and not worrying about the source of blood enough to be near him! This means that attacks and pets and is very stubborn. The mosquito breeding in stagnant waters. Lakes, saucers of flowerpots, vases with flowers, open barrels, buckets and car tires, are places that can anacharachtei if they have water. But the most dangerous places, water is the toilet and the wet bathroom floor. Studies have shown that substances emitted by certain bacteria stimulate the female to give birth. Prefer more water with a particular concentration of fatty acids and other organic substances. Be watered in the morning or the supper, when not sitting nearby. Wear long-sleeved clothing and long pants when you are outdoors. Spray clothing with repellents. Mosquitoes may bite through thin clothing. Use a mosquito net over the bed if the bedroom is not air conditioned and has no screen door or window. Spray repellents and bedroom earlier bedtime. Very good job and healthier, make lamps that catch insects and kill them with electricity. Is one of several insect effective ingredients. Repel, not kill insects. Although it is approved by all actors of the world as safe for humans, it causes irritation to eyes and skin. The active ingredient in most insect repellents is DEET (N, N-diethyl-meta-tolua-mide), a substance that protects against mosquitoes and insects for more than half a century. But although DEET is very effective, there are great concerns about the use and especially in children. Studies show that it can cause a number of adverse reactions to the health of allergic until permanent neurological damage. Despite long and widespread use of it is not yet clear exactly how the DEET. One theory is that insects, the reason avoid unpleasant smell. The ugly is that while it is so effective for insects can be dangerous to humans. The research showed that DEET is absorbed through the skin and enters the bloodstream. According petition, after 6 hours, 9-56% of the dose will pass into the bloodstream of the body. Do not spray on bare skin or under clothing. Be washed before each new application. Not for use in babies under 2 months. Although used in many insect repellents are effective because the have associated with neurological disorders and skin irritation and allergy. It is toxic to the environment, water and organisms. (So be careful when you have animals and especially birds). It is advisable to avoid general, unless there is fear for these mosquitoes, because it is more efficient. Prefer become as biological ways to protect you.